The Jessica Rabbit Pleasure Island pin was available at the Disney D23 Destination D Event as a Walt Disney Imagineering exclusive. This is a replica of the Pleasure Island Tonight! sign which was once atop the West End Stage on Pleasure Island. The back layer is circular with a dark blue clear fill with stars showing in the metal. The Pleasure Island Tonight! sign is on the next layer with a purple background and the two firework shapes which animated along side it. Jessica is also part of this layer, with a glitter filled dress and a movable leg as another layer. Her red lips have been printed on. 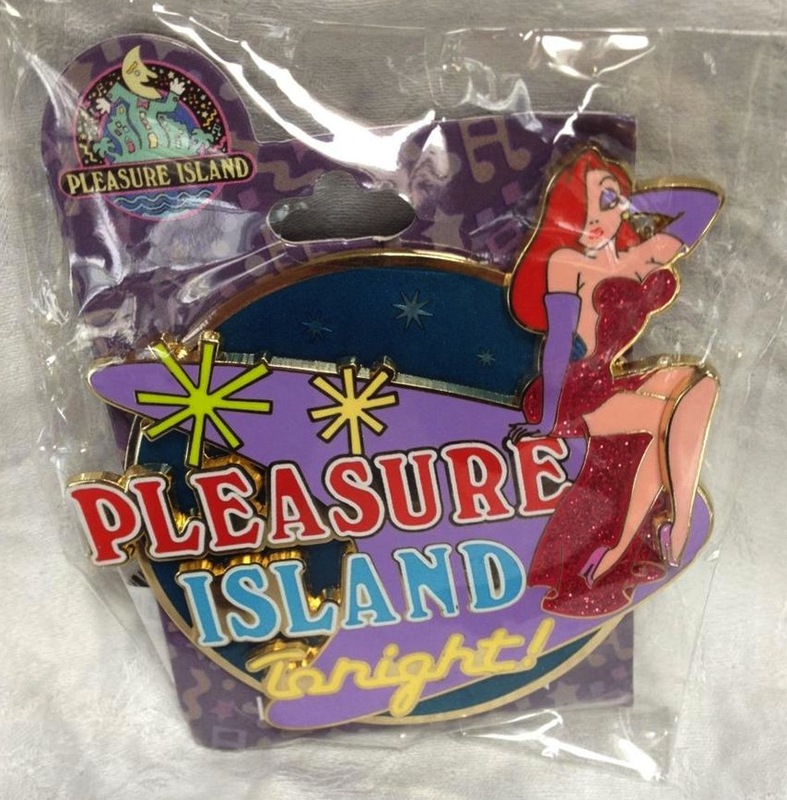 It is an oversized pin measuring 3 inches and came on a special Pleasure Island backer card with original logo.